Funk and disco songs of the 70s & 80s often had a drum solo in the middle. These sections of the songs, known as the “break”, was highly sought after by hiphop producers back in the golden age. It was an arms race to scour the record shops and music archives for breaks. The rarer the better. Over the years, a lot of these breaks have been sampled in almost every genre of electronic music and in some cases spawned entirely new genres of electronic music. They are essential for any sample based producer. The drum tracks recorded back in the 70s and 80s are low quality, recorded off dusty vinyl and don’t punch very hard. Personally, I think that is part of their charm, but they’re so weak. I decided to do something about it. Repaired transients so they are satisfyingly punchy and snappy. Repaired the boom and sub of the kick drums. Cleaned up some of the dusty nonsense while preserving the charm and character that I love so much. Preserved or repaired the groove and swing. Creatively rearranged the loops to create fresh new loops. 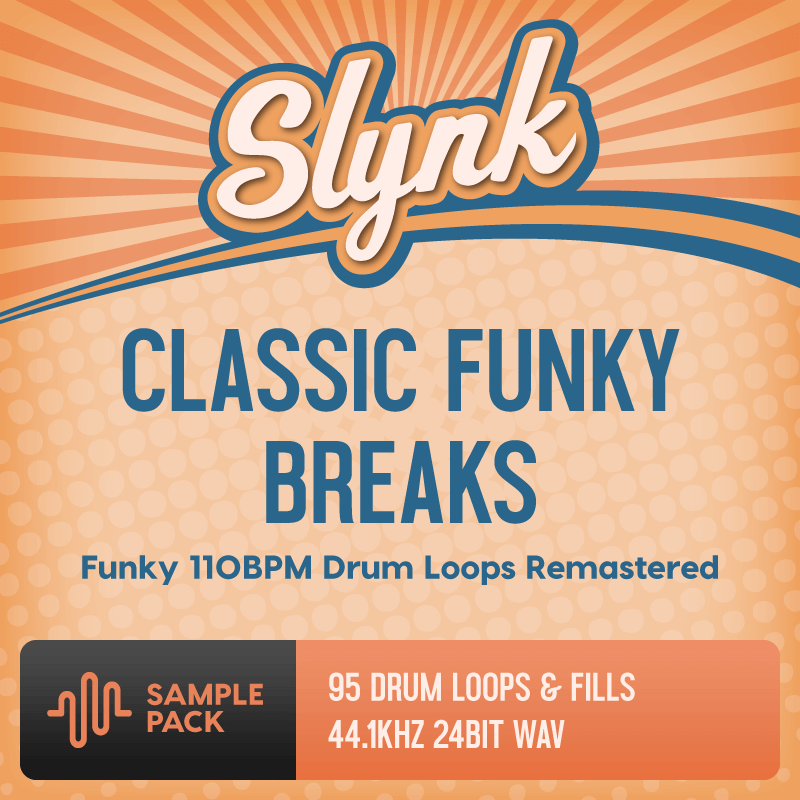 Included: 85 Drum Loops & 10 Drum Fills. Amazing pack. Great sounds. Go ahead and buy it. And get the Ableton stuff while you’re at it. If money’s tight, just drink domestic beer for a night. Yup, it’s that good. 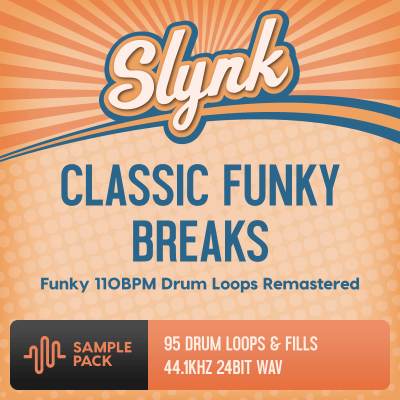 The drum breaks in this pack sound fantastic, I highly recommend them to anyone making funky music. I highly recommend these clean sounding Drum Breaks and Fills. They sound great. Already in use in two of my new productions. If Slynk makes a part two I would buy it instantly.